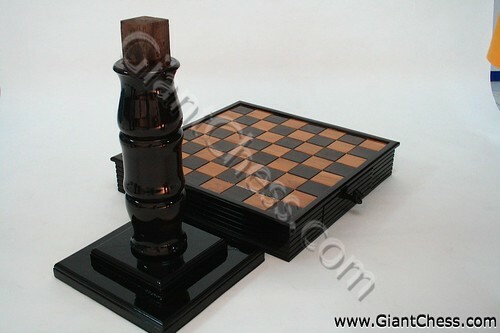 What is the different between chess table and chess board? A chess table is a table built with features to make it useful for playing the game of chess. And chess board is a board for chess game but it folded and you can save it at your cupboard or on the table. Both of them consists of 64 squares (eight rows and eight columns) arranged in two alternating colors (light and dark). The colors are commonly also called ?black? and ?white? (or ?light? and ?dark? ).